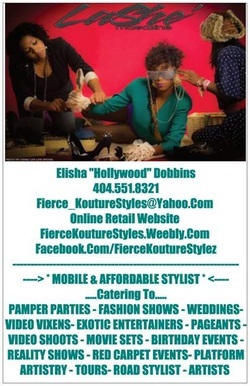 Thank you for visiting the Verse-A-Style Concierge, LLC & Fierce Kouture Styles Online Retail Site! We hope to see you back very soon and that you have enjoyed your experience. If there are any questions, concerns, comments or suggestions, please feel free to submit them on the form below. REMEMBER....Referrals are our BIGGEST compliment! Through our REFERRAL PROGRAM you can refer 5 Friends who purchase item(s) on this site and get a FREE PAIR OF SHOES (of your choice)!!!! Awesome! FILL OUT FORM BELOW FOR ALL INQUIRIES.